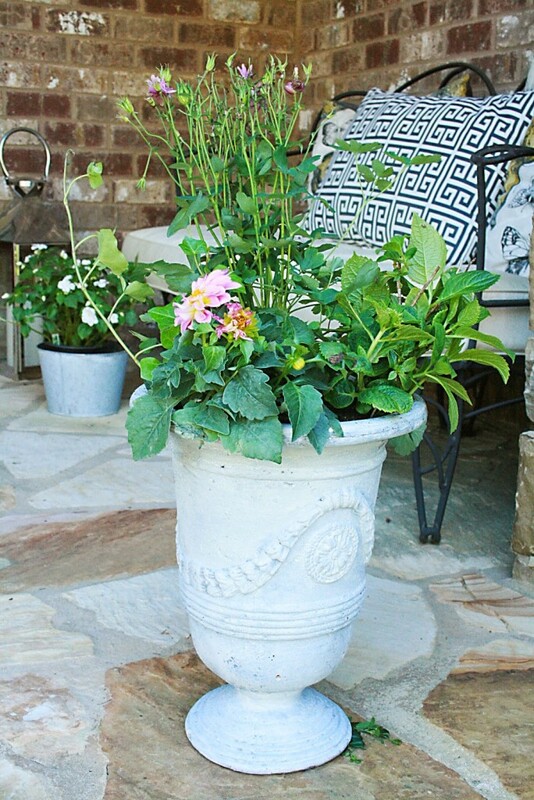 Pull out your planting pots and fill them up with soil and new greenery! 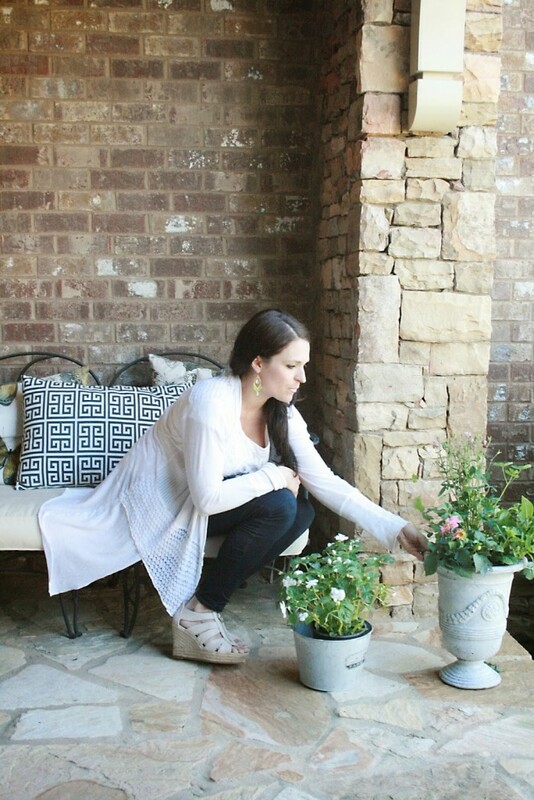 It’s that time to start bringing life back to your garden and porches. Spring is one of my favorite seasons and gardening has become a favorite pastime since my vegetable garden days while living in Connecticut. Now it’s just flowers for me until we make space for a garden. So I have quite a few pots on hand that are a random collection. Instead of running out to buy new ones so they complement each other, I decided to stain them. 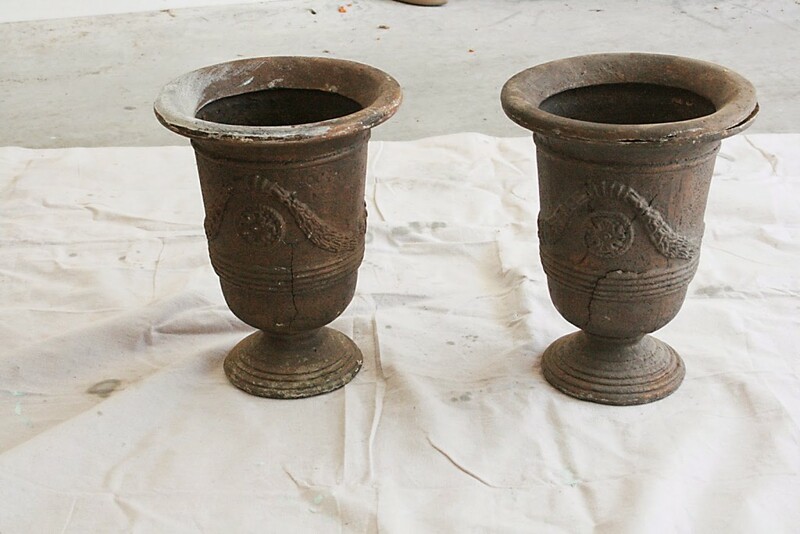 My urns are actually plastic and made to look old. I had some cream wood stain on hand and just painted it to give it an updated look. It now looks more stone, and I’m happy with the results. So, go and update your planting pots! 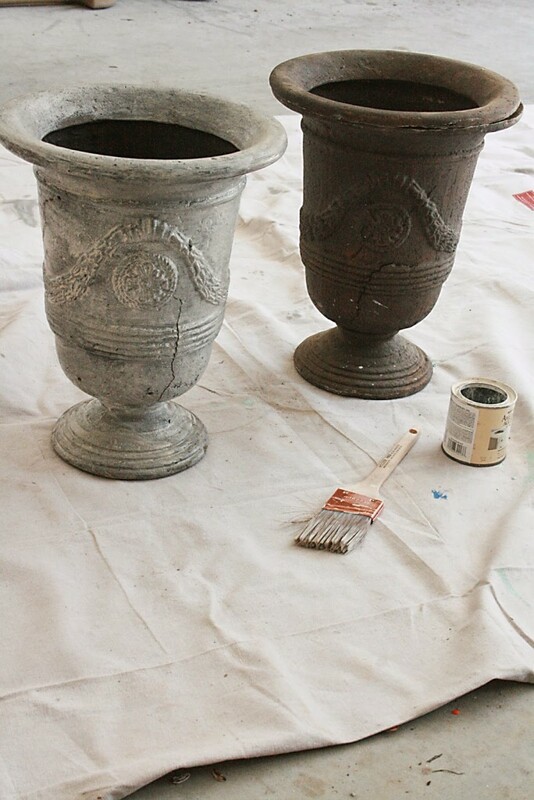 I love the look of spray painted terra cotta pots, which are so cheap. Such a great idea! 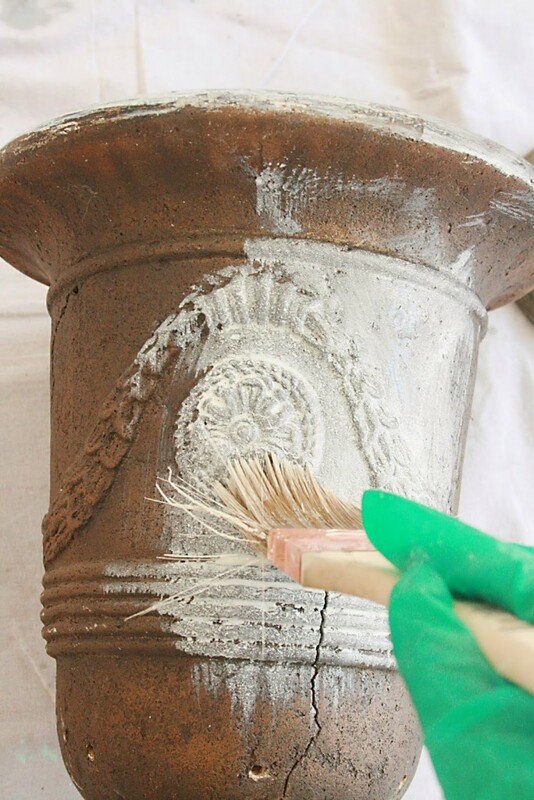 There are a lot of fun projects with terra cotta pots on pinterest. 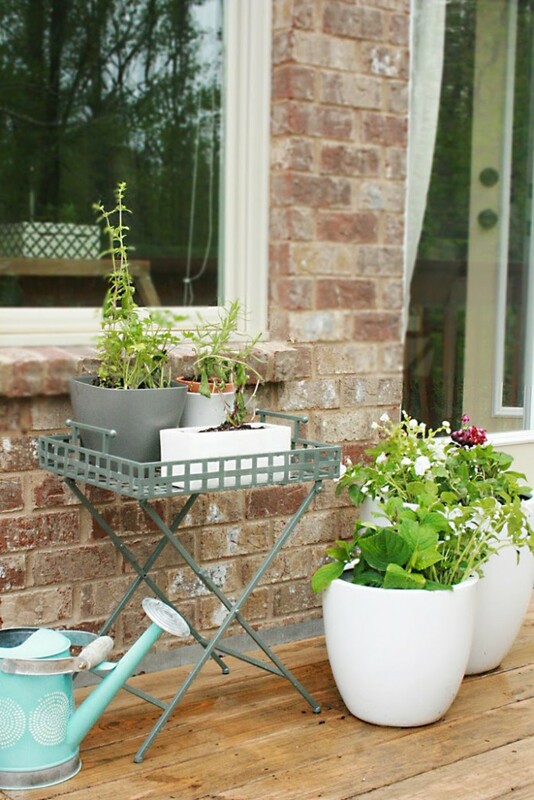 Also create planting corners on your deck or patio, mixing herbs and flowers. My favorite flowers to plant in pots are hydrangeas because they do well in a shady corner with only 4 hours of sun they need each day. I like to get the everlasting breed, so they bloom all season and then I have freshly-cut flowers to bring in the house. In the fall you can transport to the ground. 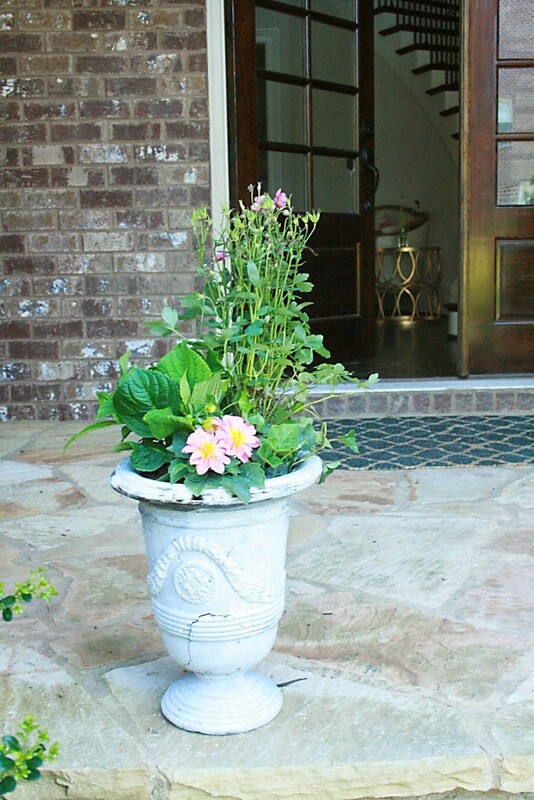 You can always mix your herbs with your flowers in your planting pots. Like basil has such a pretty leaf and looks great with dahlias and chives look great with lavender or another desert flower. You can see how I made basil flowers arrangements. Get your hands dirty and enjoy your garden…wherever it may be!